With Jaipur’s property prices touching new heights, people are looking for more affordable 2 & 3 BHK options – such as in Jagatpura, located in the south-eastern tip of Jaipur. 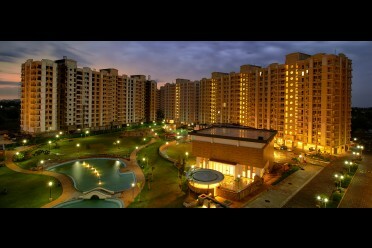 It is one of few localities with high class urban facilities – and rustic surroundings nearby. According to an ICICI Property Services report, the property market in Jaipur has witnessed maximum activity in suburban micro-markets of southern Jaipur such as Jagatpura. 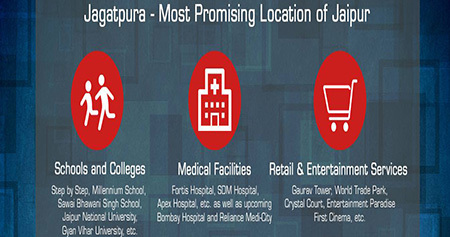 Below are 4 great things you’ll really love about residential properties in Jagatpura. Jagatpura’s urban features make it a highly sought-after location. It is located in South East Jaipur – which is one of the most prominent locations for new commercial and residential projects. Jagatpura boasts of a proposed 100 km road that will connect Ajmer Highway, Tonk Road and Agra Highway. Coupled with this fast transit route, its relative proximity to Jaipur’s other posh localities – such as Malviya Nagar, Patrakar Colony and Vaishali Nagar– will significantly decrease traveling time, whether you’re going to work, socialize or entertain. Schools like Step by Step, Millennium School, Sawai Bhawani Singh School, St. Anslem, etc. Colleges & Universities such as SKIT College of Technology, MNIT College, Seedling Medical College, Jaipur National University, Gyan Vihar University, etc. Retail & Entertainment Facilities like Gaurav Tower, World Trade Park, Crystal Court, Entertainment Paradise, World Trade Park, Jawahar Circle (Asia’s Largest Circular Park & Musical Fountain), First Cinema, etc. Top Corporate & Govt. Offices like Genpact, Vodafone, Dainik Bhaskar, HDFC, Railway Headquarters, BSNL, Godrej, Wonder cement etc. A 2015 ICICI Property Services report states that Jagatpura witnessed a healthy price appreciation of approximately 40% in the last two years. 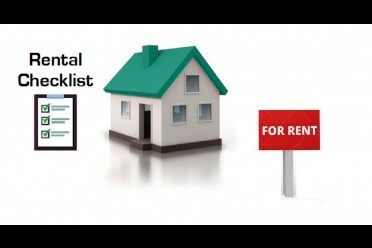 In fact, both investments and rentals have been rising, and will continue to rise. Are You Looking for a 2 or 3 BHK Flat in Jagatpura? If you’re looking for a great 2 or 3 BHK flat in Jagatpura, you will find many options by several builders and real estate developers. But do check out Vrinda Gardens in Jagatpura – a joint venture project between Ashiana Housing and Mangalam Group. It offers many modern facilities – like a Club House, Parks, Kids Play Area,Swimming Pool, a Convenience Store, a secure Gated Complex with CCTV , etc. 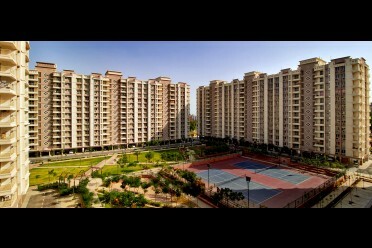 You can visit their show flat – and in Phase -1 families are already residing and enjoying the facilities. Ashiana has delivered many landmark projects in Jaipur – like Rangoli Gardens, Greenwood and Ashiana Manglam – and this is their sixth project in Jaipur. They are renowned for their construction quality and timely delivery. Ashiana not only maintains their own projects, but also runs the resale and rental devision for Ashiana properties. So don’t miss this opportunity to own a home in a very upcoming location of Jaipur. looking for 3 BHK good reasonable flat. Thank you for showing interest. Our project Vrinda Gardens is located in Jagatpura where you will get 3 BHK in the price range of Rs.51 lacs - 75 lacs. currently more than 100 families are residing in the project. 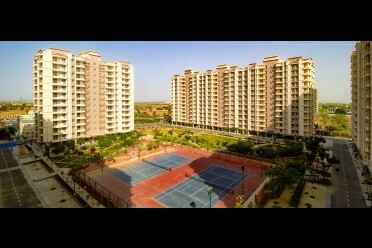 2 BHK,3BHK Rate And Location. Thank you for enquiring, Vrinda Gardens located near RTO office in Jagatpura. 2 BHK is available in the range of Rs. 43- 48 lacs and 3 BHK is available in the range of Rs. 55-76 lacs. Thank you for showing interested in Vrinda Gardens, located in Jagatpura Jaipur.We have 2 BHK available in the price range of Rs.42-48 lacs.For availability and site visit assistance our sales personnel will contact you soon. Thank you for sharing interest, Vrinda Gardens,our project is located in Jagatpura with option of 2/3 BHK flats. Ready to move in apartments are also available, for further assistance about the project our executive will get in touch with you.